The Blue Square Apartment complex in Logan, Utah, provides luxury housing for the students attending Utah State University. As part of this project, our engineers delivered a full set of construction drawings that included both an in-depth grading plan and utility plans to tie in off-site sewage lines. Much of the drainage on-site is held within an underground cistern that is over 6,000 square feet large! 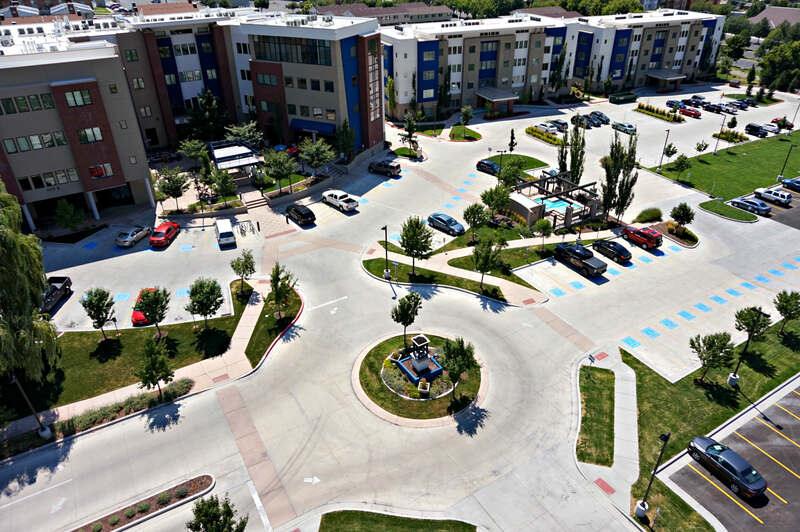 Our field crews provided construction staking for several multi-level apartment buildings, the underground utilities and facilities, and for the remaining site and parking lot. We also provided as-built drawings as part of an ALTA and boundary survey.